Get answers to most frequently asked questions about the Online Easy Pay. You will find answers about acceptable payment methods, making payments, payment plans, and refunds, among other topics. Do I need to register to start using the Online Easy Pay to pay my bill? What specific types of payment methods can I use to pay my bill? How do I know what to select in the "Pay to" field? What is my email used for and do I need to provide it? What is e-Check payment type? What do I need to make an e-Check payment? I received multiple bills from the LifeLine EMS, can I make multiple payments on different bills in one transaction? What if I don’t want to pay online with my credit card? Are there any payment plans available? Is there any way to select it from the Online Easy Pay? How can I cancel my payment? Can I get another copy of my payment receipt? 1.Do I need to register to start using the Online Easy Pay to pay my bill? No, you will not need to register. Make sure you have your LifeLine EMS bill in front of you when you make a payment to make sure you enter the correct information. You will also be asked to provide payment information. Online Easy Pay will ask you to confirm the information entered, and the payment will be applied to your account. 2.What specific types of payment methods can I use to pay my bill? Online Easy Pay accepts American Express, Discover, MasterCard, and Visa credit cards, as well as electronic withdrawal from a savings or a checking account (e-Check). 3.How do I know what to select in the "Pay to" field? In the statement that you received from the LifeLine EMS, below the box "Remit to," you can see the Department name to which you need to make a payment (the location on the statement is indicated with the black arrow in the image below). 4.What is my email used for and do I need to provide it? You may provide your email to have a copy of your payment receipt sent to you electronically. Please note, you will still be able to print a copy of your receipt after the transaction is complete Only the fields with the red asterisk are required, so this field is not necessary to provide. You may opt out from this field by selecting the box underneath the email field, indicating that you do not have an email to provide. 5.What is e-Check payment type? e-Check payment type is a direct draft from your bank account (either savings or checking), similar to a paper check. The withdrawal of funds from the e-Check payment type is done electronically, rather than from a conventional paper check. 6.What do I need to make an e-Check payment? First, you will need to select e-Check as the payment type. The required fields will show on the Online Easy Pay Screen. You will need to provide your bank routing number, account number and the name of your bank. 7.I received multiple bills from the LifeLine EMS. Can I make multiple payments on different bills in one transaction? No, you will have to make separate payments for each individual bill. You will be provided the option of making another payment, once the receipt is printed during your first transaction. 8.What if I don’t want to pay online with my credit card? You may stop by any of the LifeLine EMS locations to make a payment at the office. The staff will take your payment and provide a receipt for your bill payment. Alternatively, you may mail a paper check with the top portion of your statement to the indicated address on the statement. 9.Are there any payment plans available? Is there any way to select it from the Online Easy Pay? Payment plans cannot be selected using the Online Easy Pay. You can request a payment plan by calling our corporate office, 888-535-5728, or by stopping at any of the LifeLine EMS locations. 10.How can I cancel my payment? 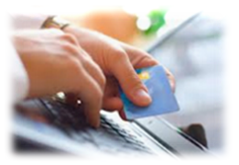 You will need to call LifeLine EMS corporate office, in order to cancel your online payment. 11.How can I request a refund? A refund can be requested by calling LifeLine EMS corporate office. Refunds may be requested for the following reasons: overpayments, duplicate payments, and additional payments made by your insurance resulting in overpayment on your account. Please allow 10-14 business days for refunds to appear on your bank statement. 12.Can I get another copy of my payment receipt? Yes, you can get a copy of your receipt by either requesting it from our corporate office, or stopping by at any of the LifeLine EMS office locations to request a copy. ©2019 CereSoft, Inc. All Rights Reserved.